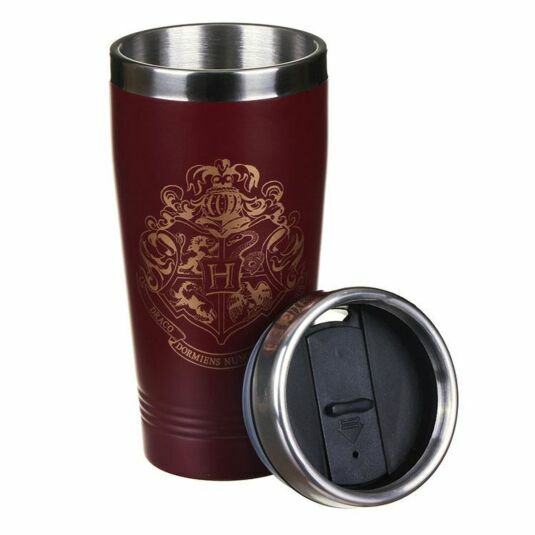 Take the magic of Hogwarts with you wherever you go with this Hogwarts Travel Mug. 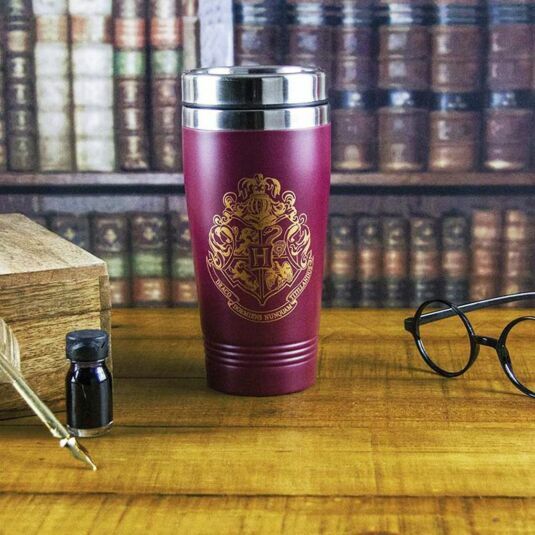 This mug, which has a capacity of 450ml, is sure to make a brilliant gift for any Harry Potter fans who are looking for a useful and reliable travel accessory. 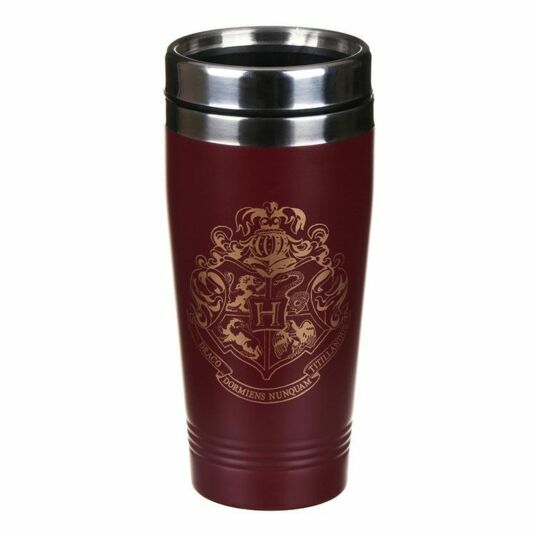 This mug is adorned with the Hogwarts Crest on the front, instantly recognisable from the movies. The mug is a lovely burgundy colour, representing the colours of everyone’s favourite house, Gryffindor. The top of the travel mug screws on and a plastic slider can be slid across to open and close the mug. This allows for easy access to the contents. This gift is perfect for anyone who is a huge Harry Potter fan and is looking for a magical and convenient mug to carry with them on all their journeys. Not suitable for dishwasher or microwave use. Clean before first use. Wash using warm soapy water. Do not fill lid to the brim. Leave at least a 2cm gap. This product complies with BS EN12546-1.